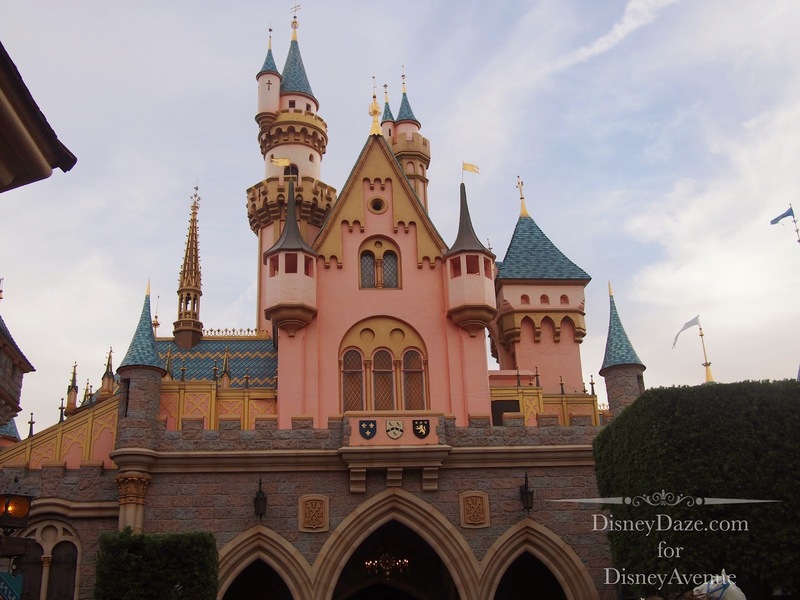 It has been well documented that the Neuschwanstein Castle in Germany inspired Herb Ryman’s drawings of a Disneyland castle. 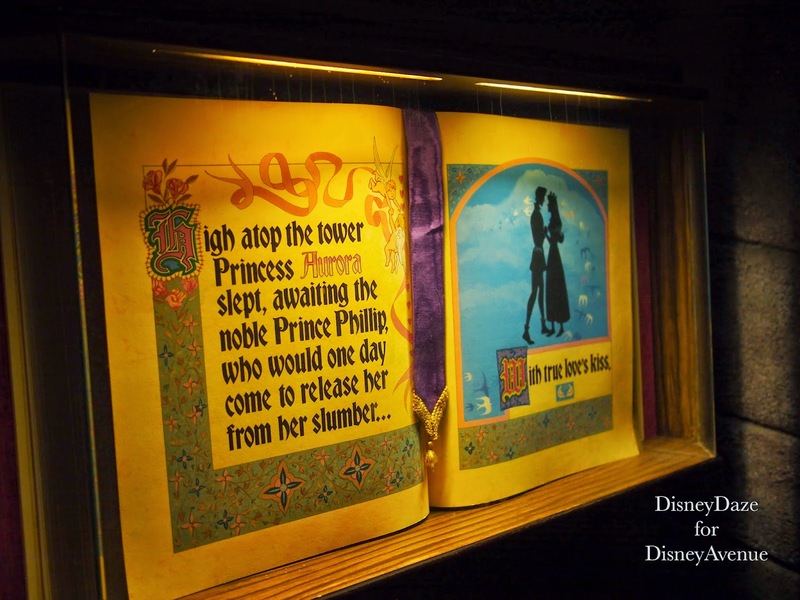 It is also a well-known story of how Ryman was responsible for turning the castle model around so that the front of the model now became the back of the castle. 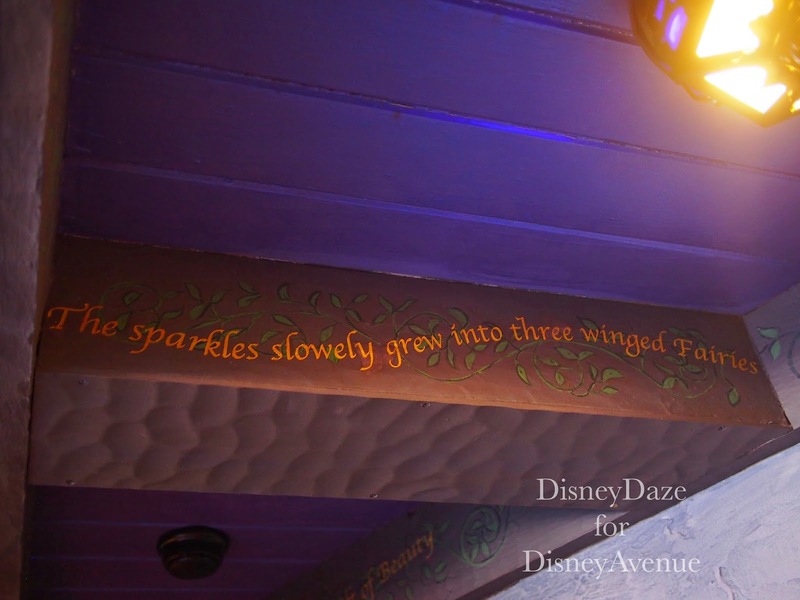 Walt approved of this change and so that is how Sleeping Beauty Castle was built. 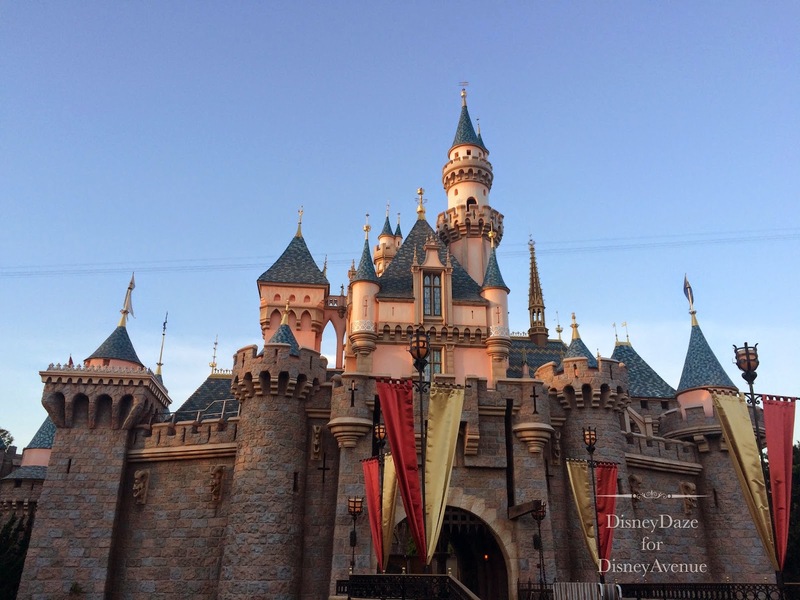 Here is a photo of Sleeping Beauty Castle a couple weeks ago when it was covered due to some maintenance work in preparation for its 60th anniversary. 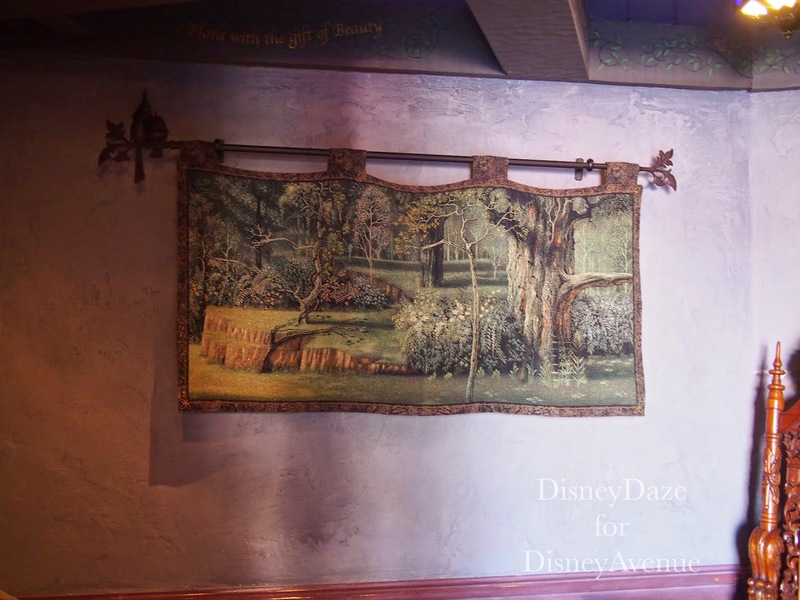 The scrim was created with the original Herb Ryman drawing. 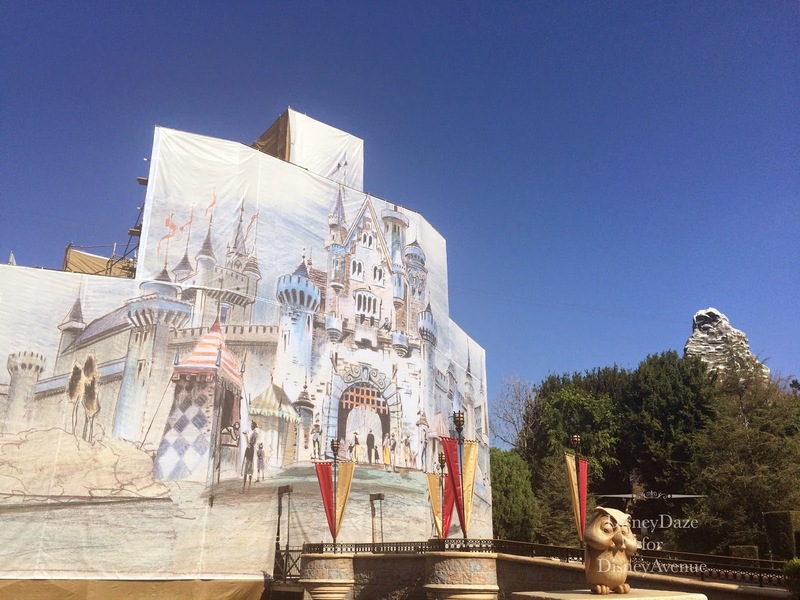 This next photo is what the actual back of Sleeping Beauty Castle looks like today. 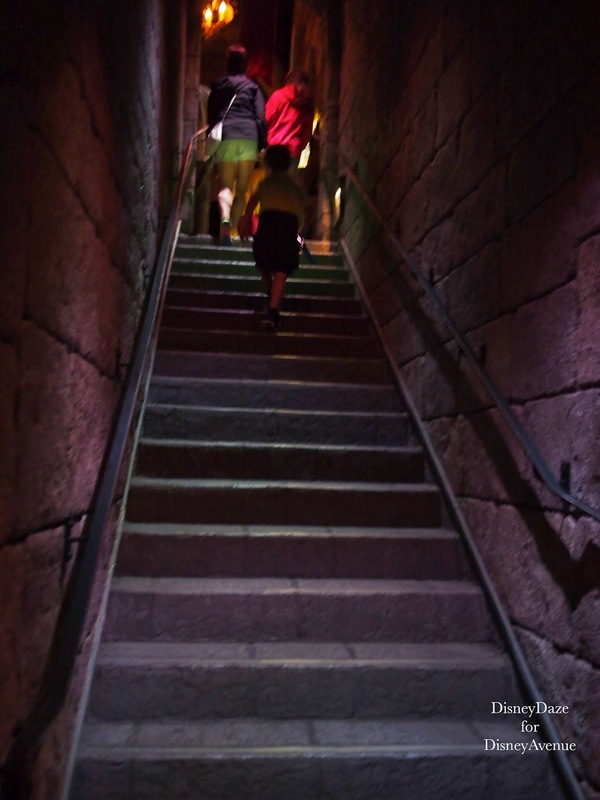 Sleeping Beauty Castle only stands at 77 feet high above the moat. 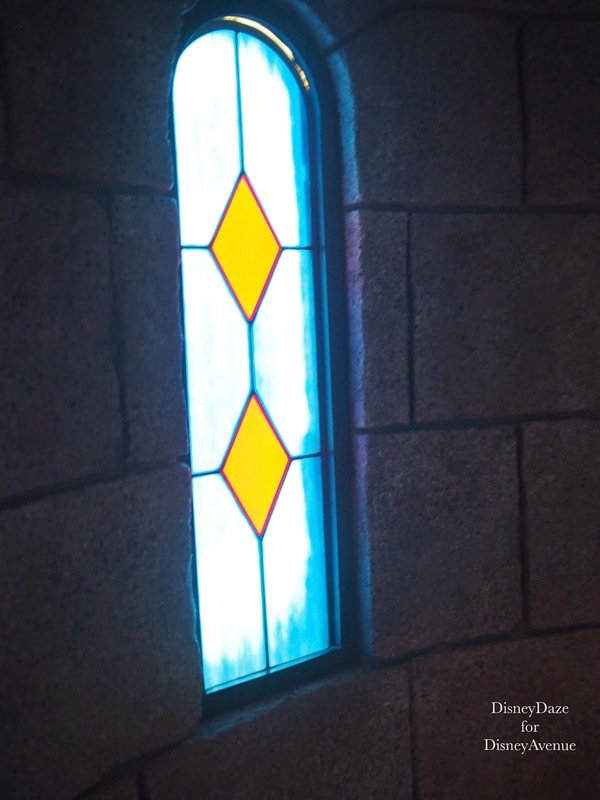 Leave it to Walt and his Imagineers to use some motion-picture technique to trick your eye. 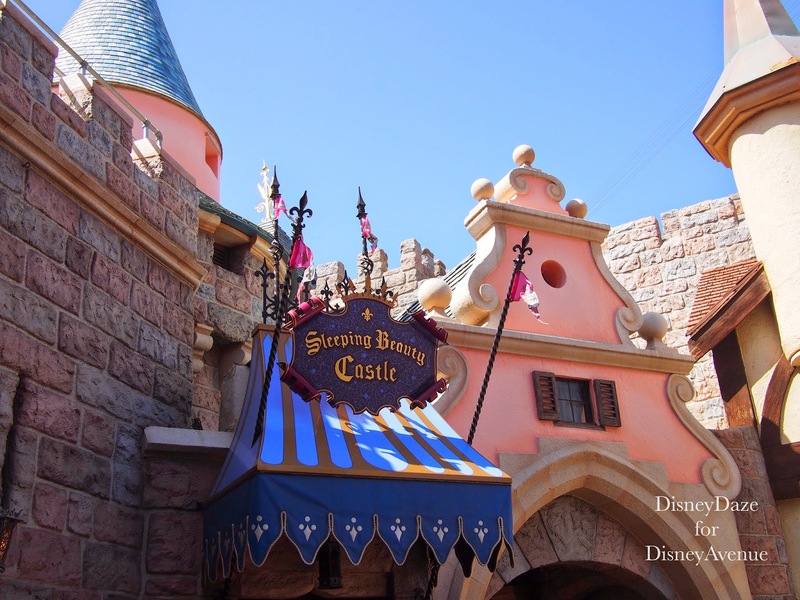 With the use of forced-perspective, from Main Street, the Castle looks large from that distance. 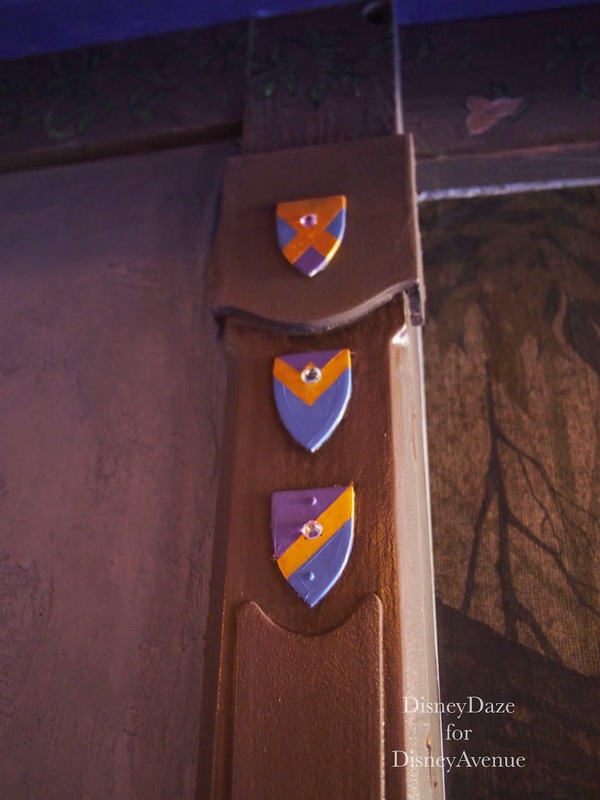 The bricks are graduated in size so that they are larger on the bottom and smaller on the top. 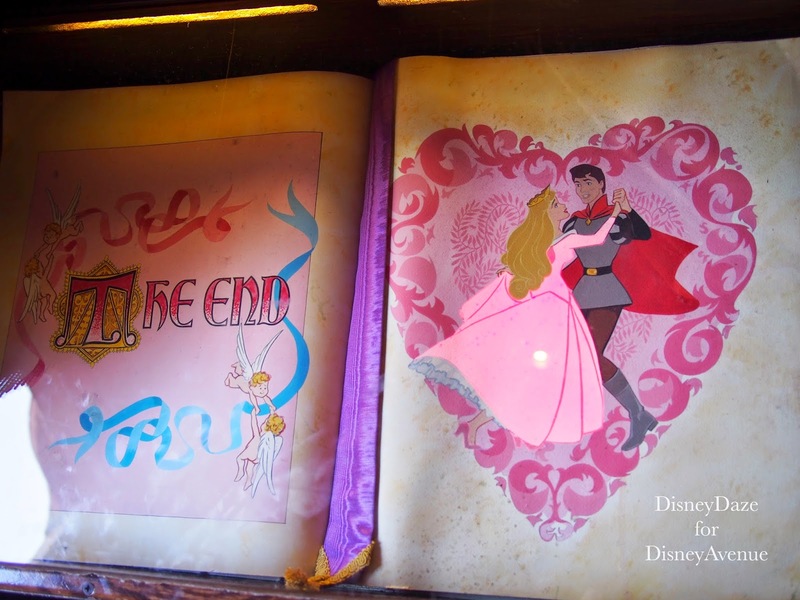 When Disneyland opened in 1955, Sleeping Beauty Castle immediately became a star. 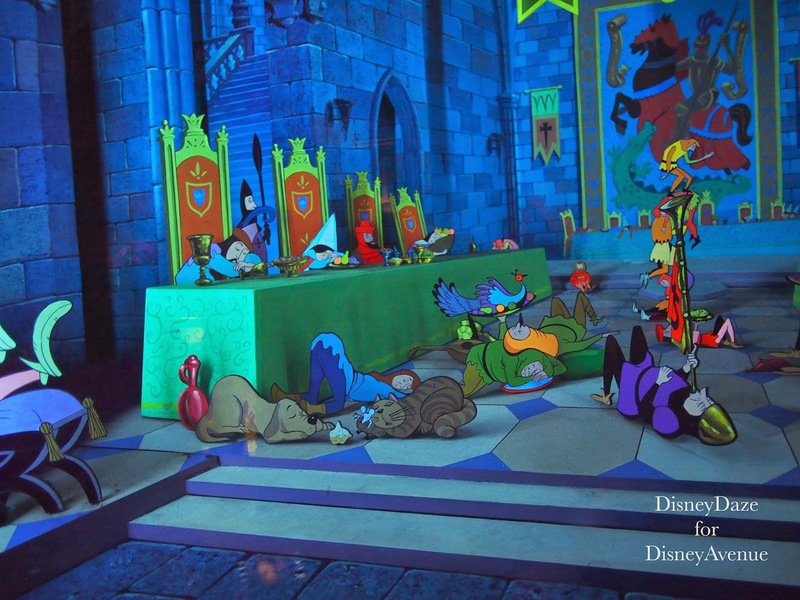 At this time, the Sleeping Beauty movie was in development. 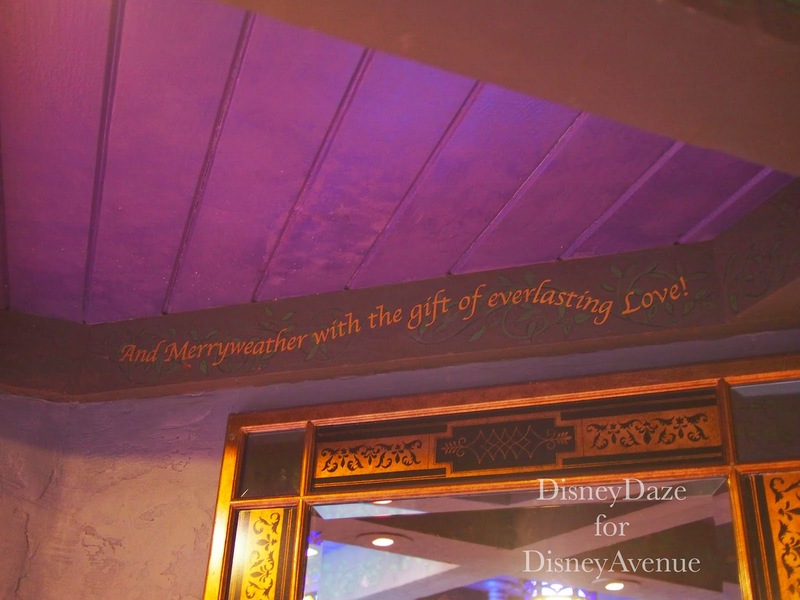 Walt was always thinking about how to tie in some of the current productions to Disneyland. 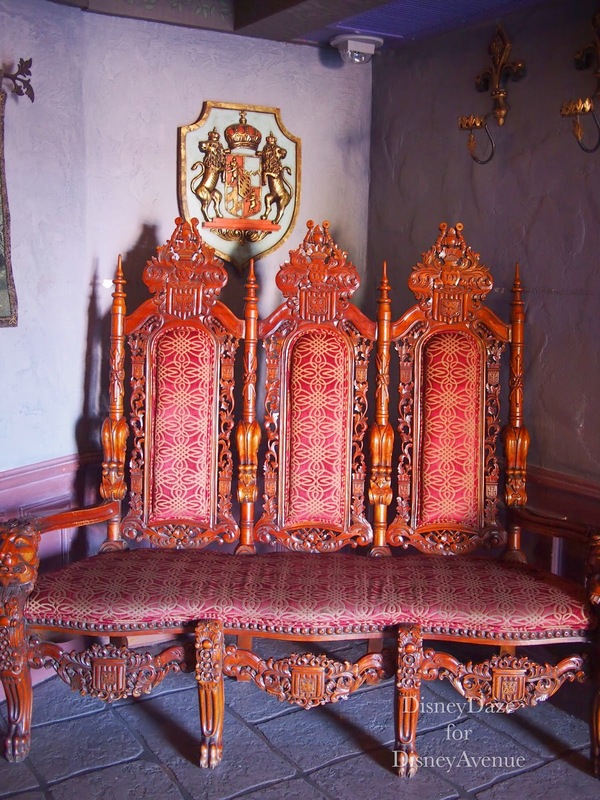 It was not until 1957 when Guests were invited to enter the castle. 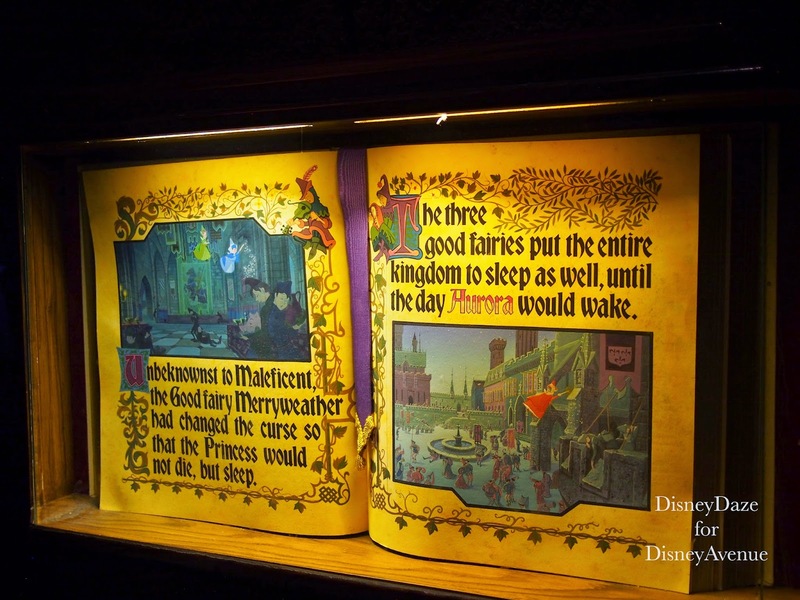 The Sleeping Beauty movie would not come out until 1959. 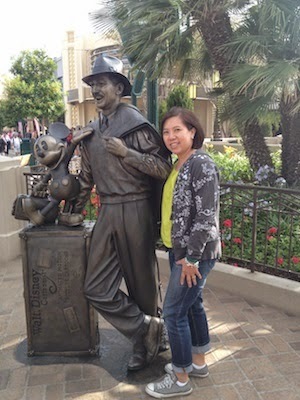 Walt was a pioneer in marketing opportunities when it came to Disneyland and all the work in development at the Walt Disney Studios. 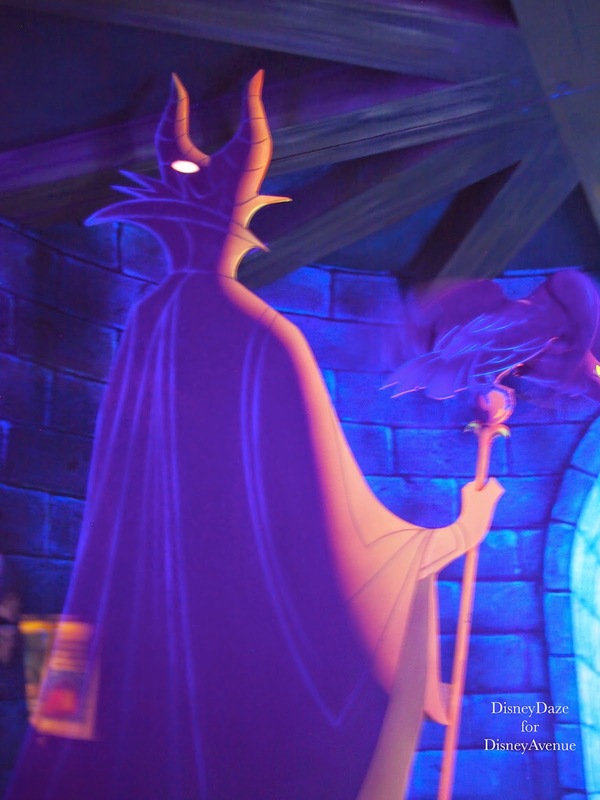 Walt had asked artist Eyvind Earle, who was responsible for most of the style and background in Sleeping Beauty, to create the Sleeping Beauty Castle Walkthrough. 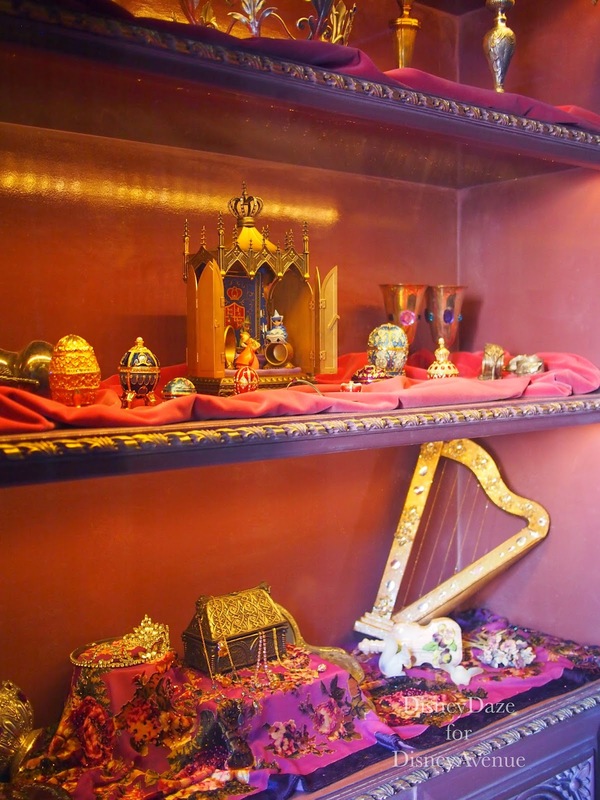 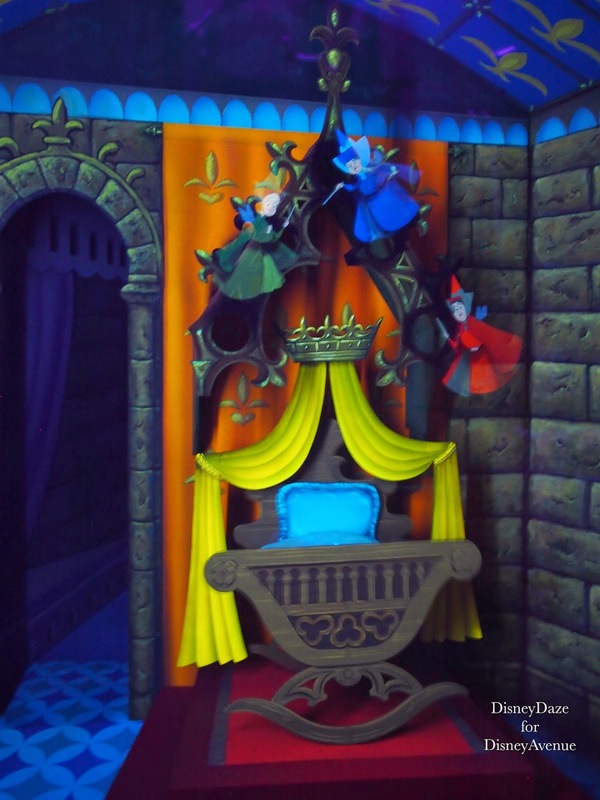 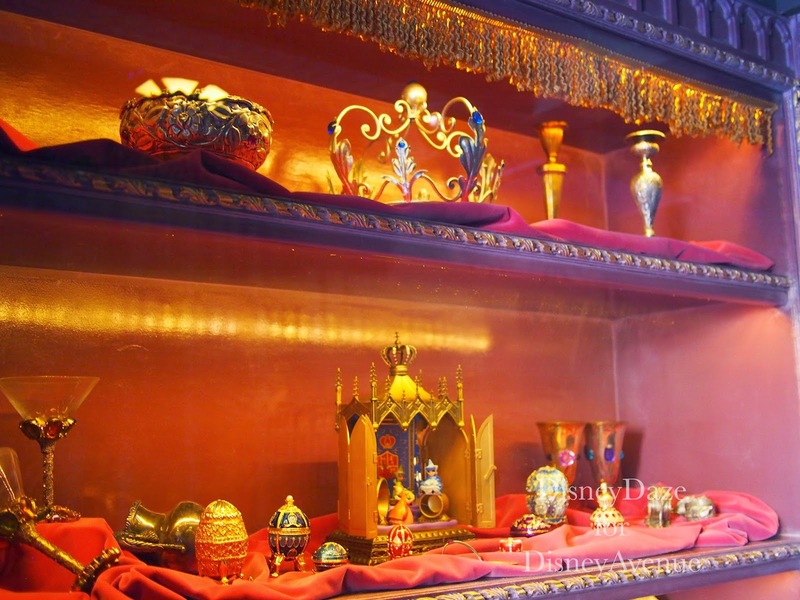 When it opened in 1957, the walkthrough was comprised of scenes from the Sleeping Beauty story in the form of dioramas. 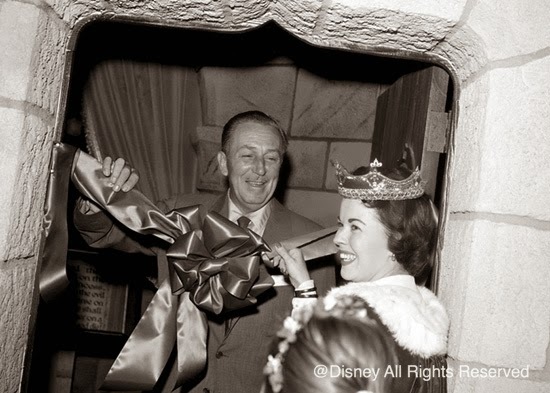 Actress Shirley Temple was invited with the grand opening. 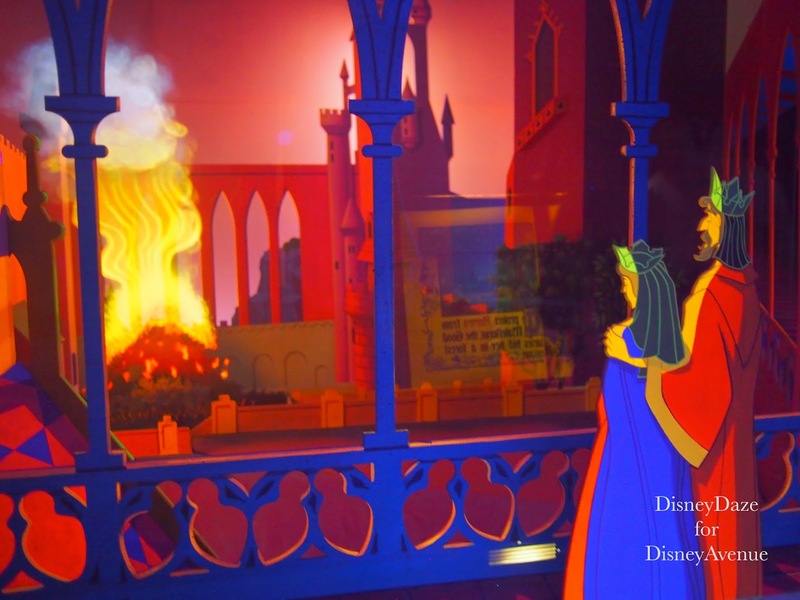 In 1977, the Eyvind Earle dioramas received an update. 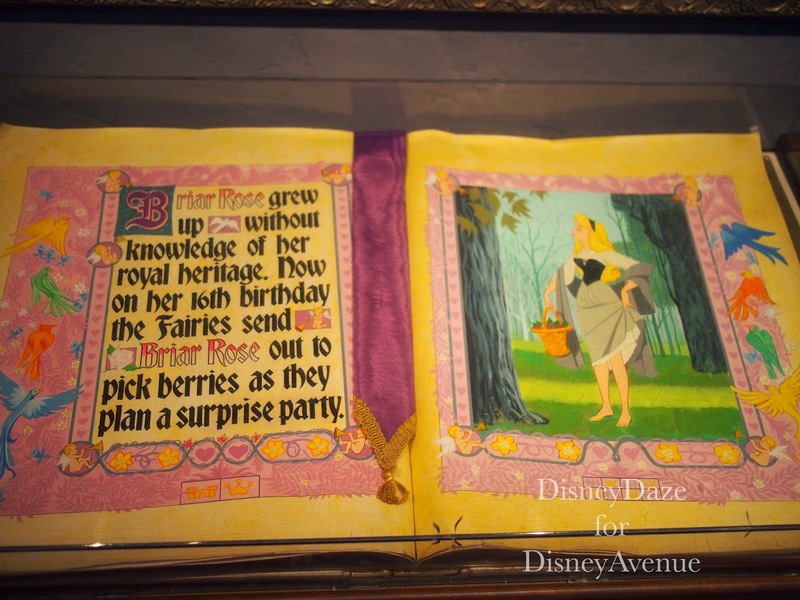 The scenes were made up of dolls that had some movement to give it a more updated feel. 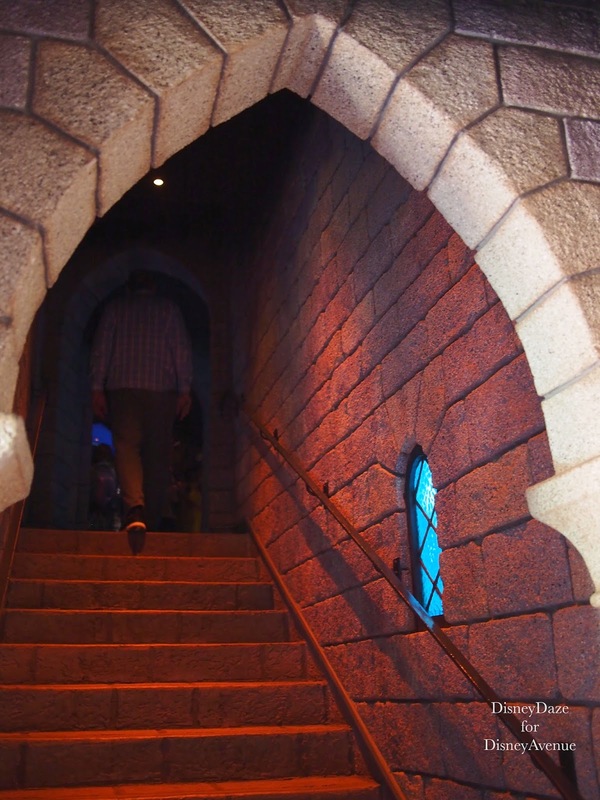 Guests could freely walk through the Castle until September 11, 2001. 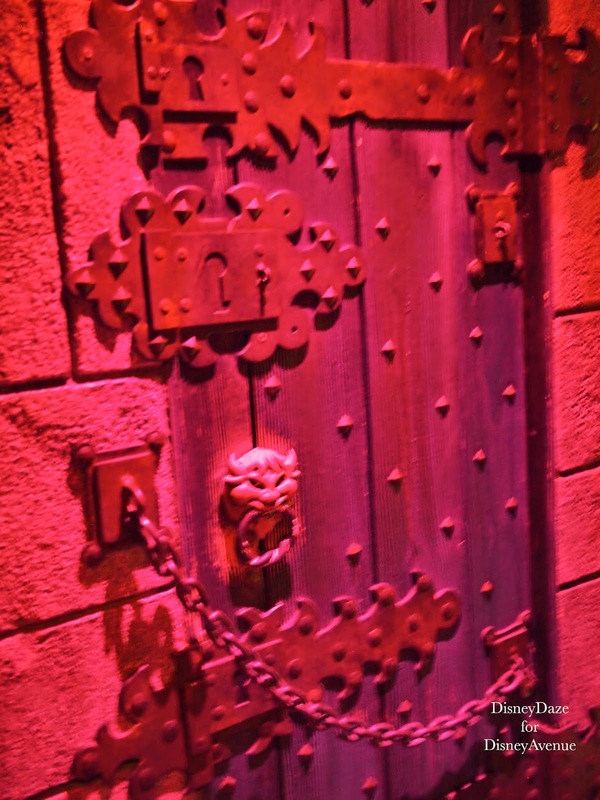 It remained closed after that date for security concerns. 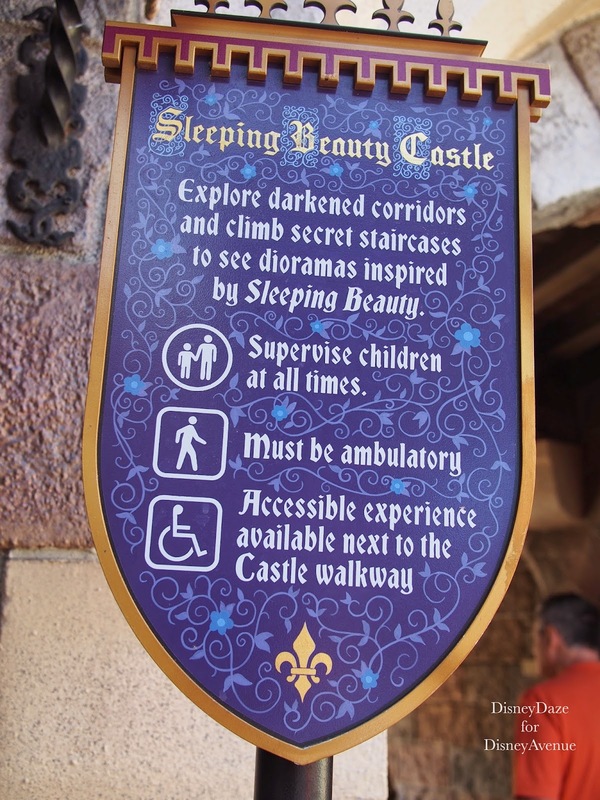 In 2008, the Sleeping Beauty Castle Walkthrough reopened. 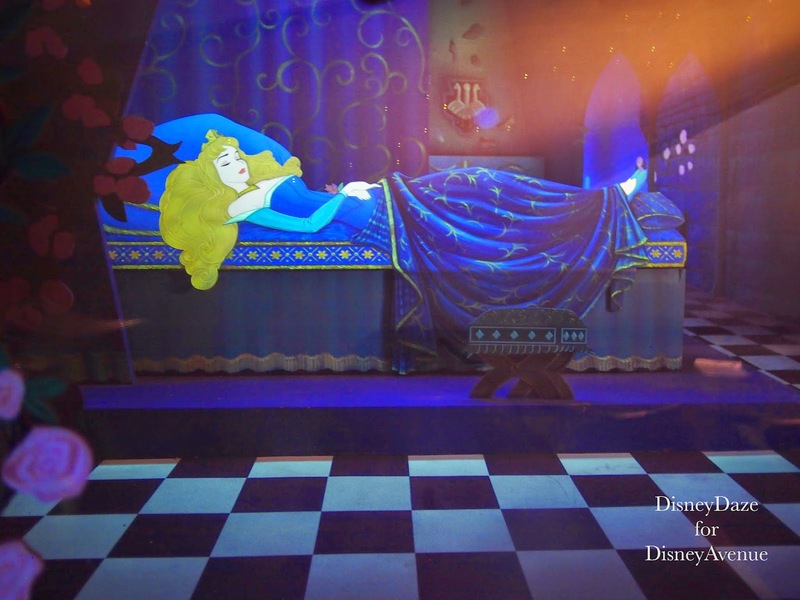 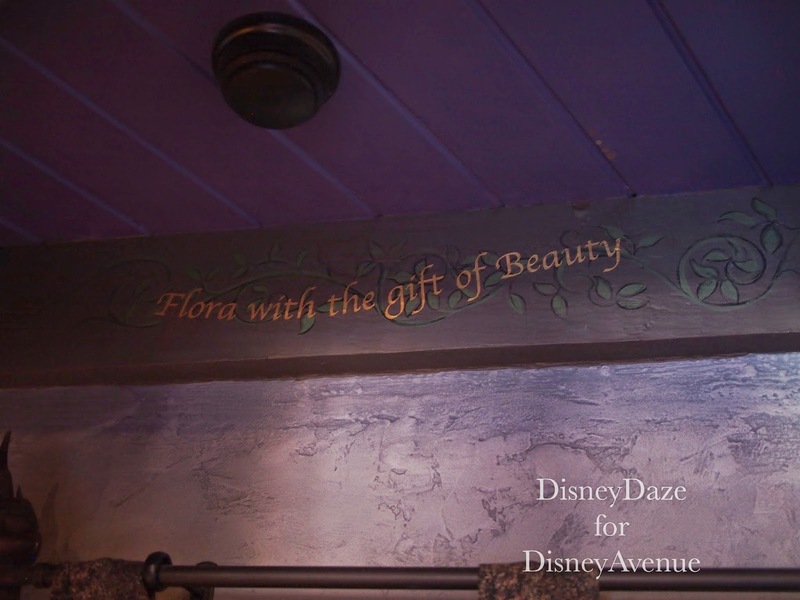 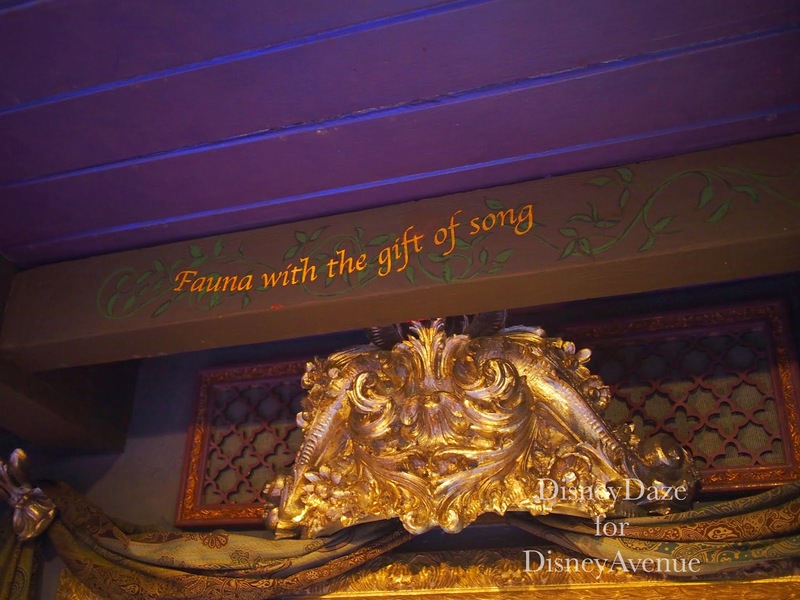 Under the direction of Disney Legend Tony Baxter, Imagineers updated the Sleeping Beauty scenes with new technology. 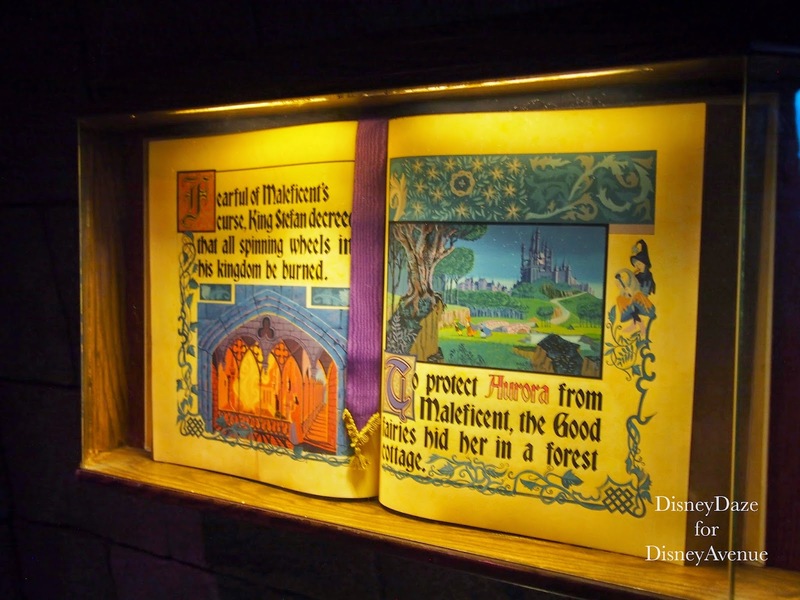 Gone are the dioramas but much of Eyvind Earle’s backgrounds and style remain as part of the experience. 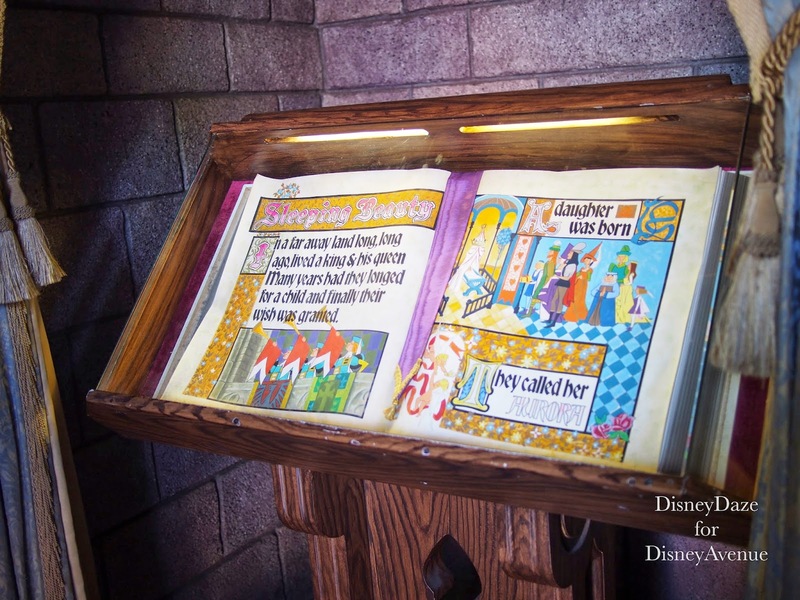 Here’s my photo journal of the Sleeping Beauty Castle Walkthrough. 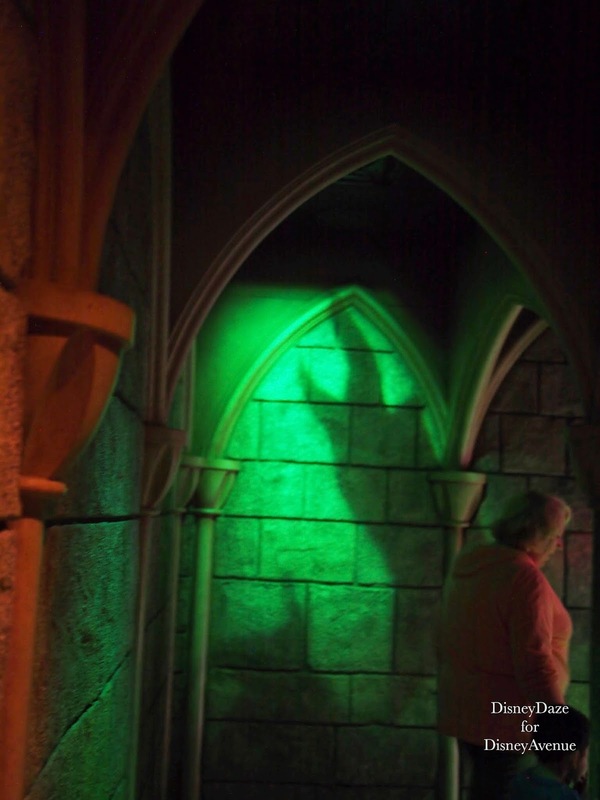 There is a small entrance that is unattended. 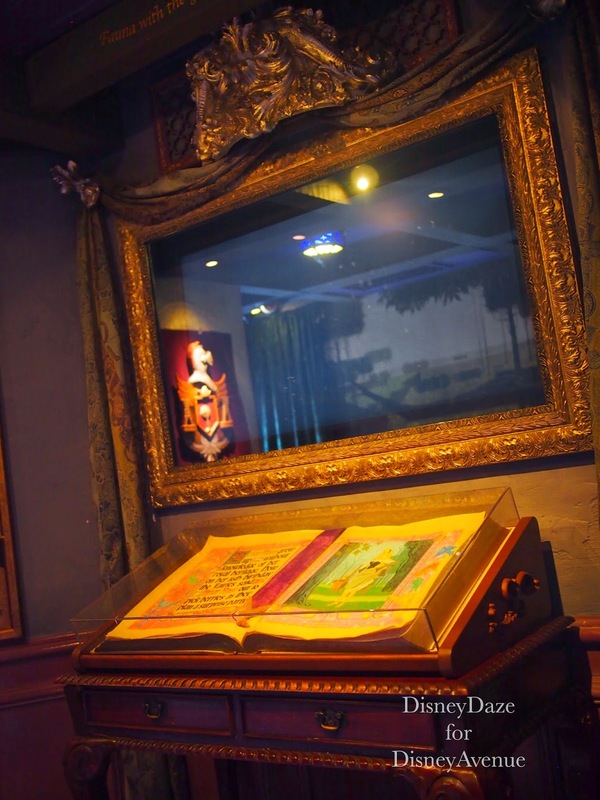 It is a self-paced attraction. 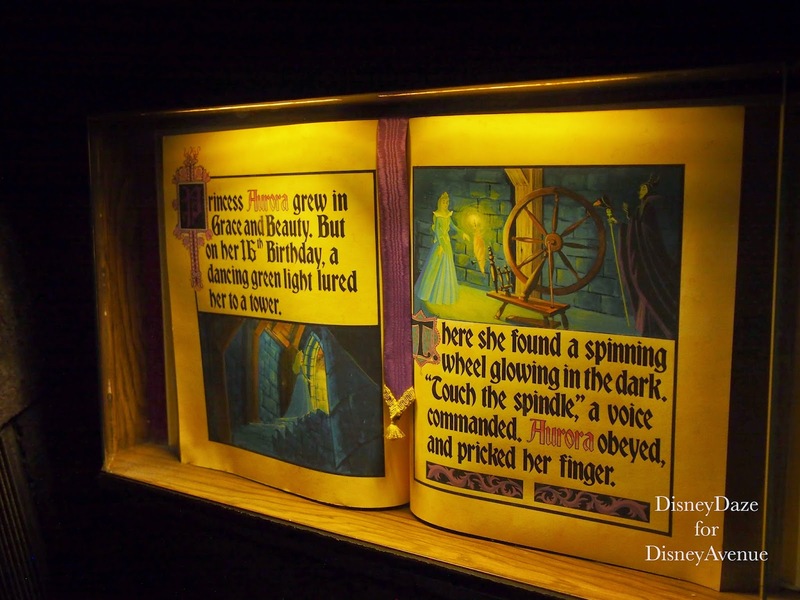 There are these ornate storybook pages throughout the walkthrough so you can follow the story. 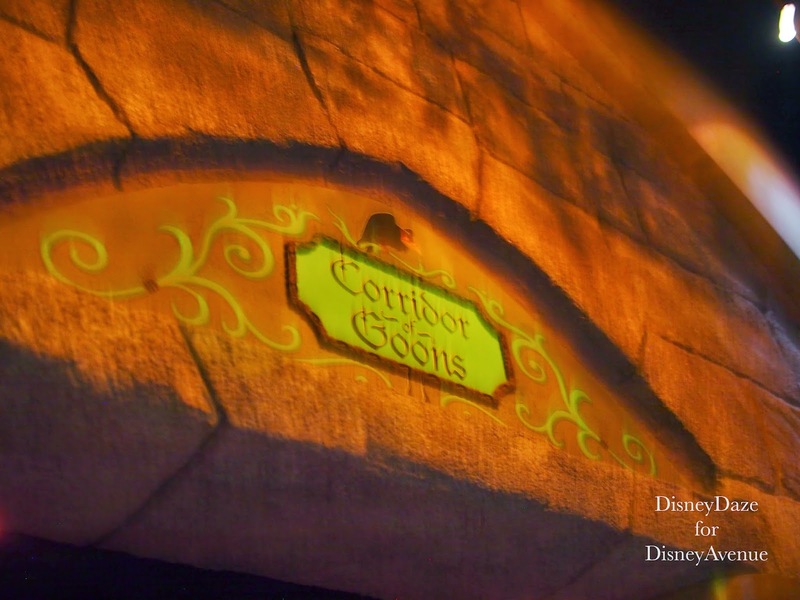 Then you view some interactive scenes that are projected in designated areas. 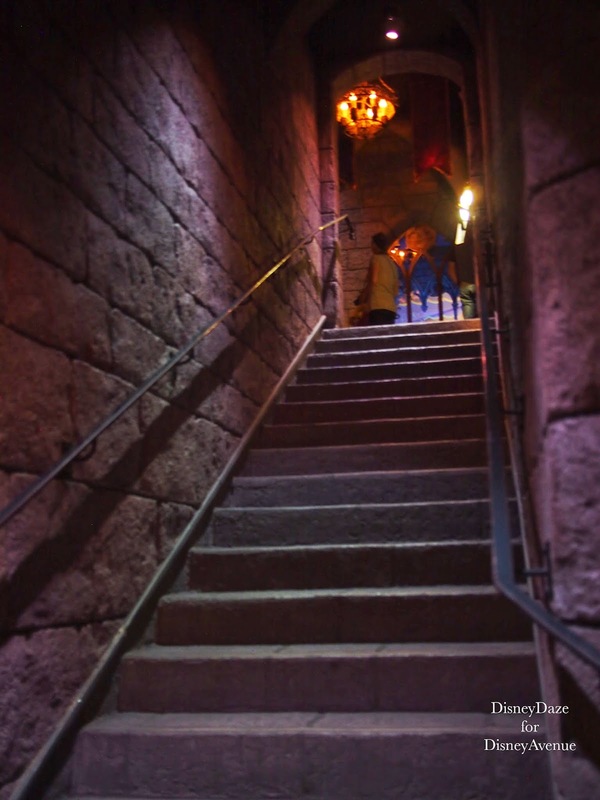 There are stairs to climb and they are very narrow. 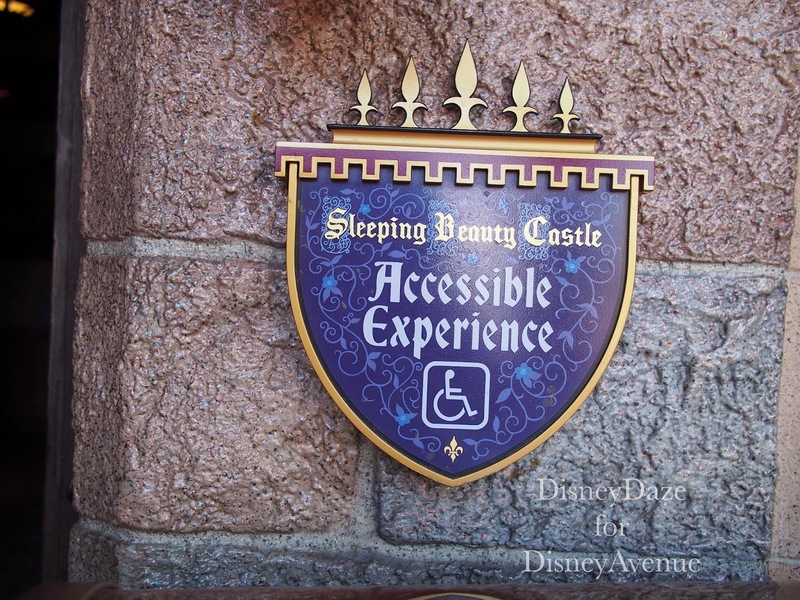 It is for this reason that there is actually another location where one can experience a virtual Sleeping Beauty Castle Walkthrough. 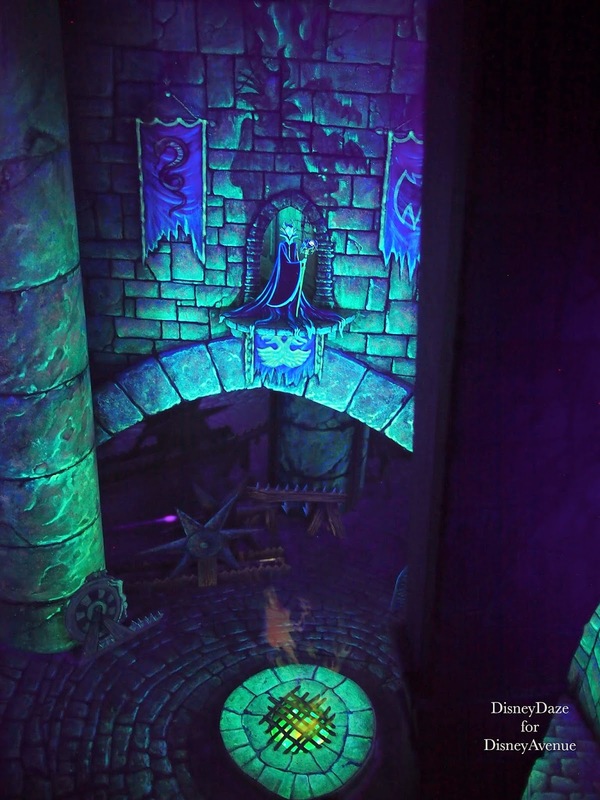 It is located around the corner from the exit of this attraction. 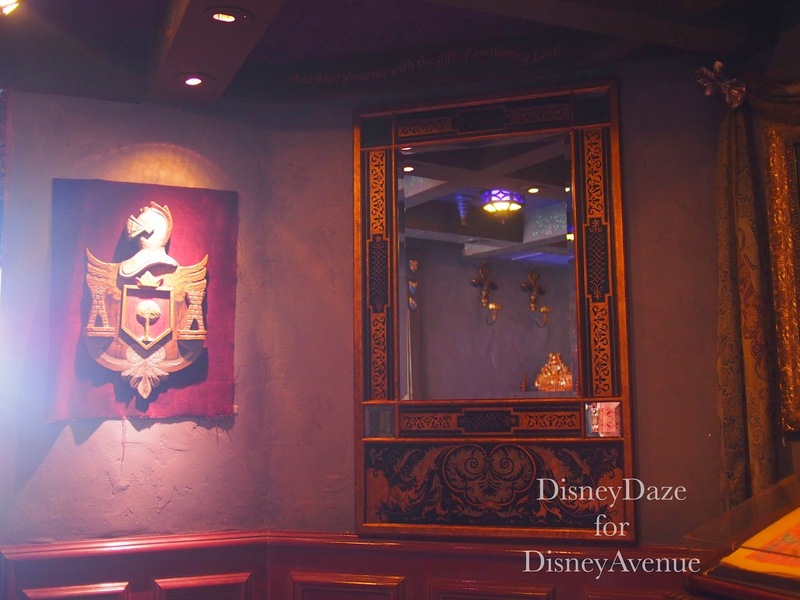 There are this fancy seating area. 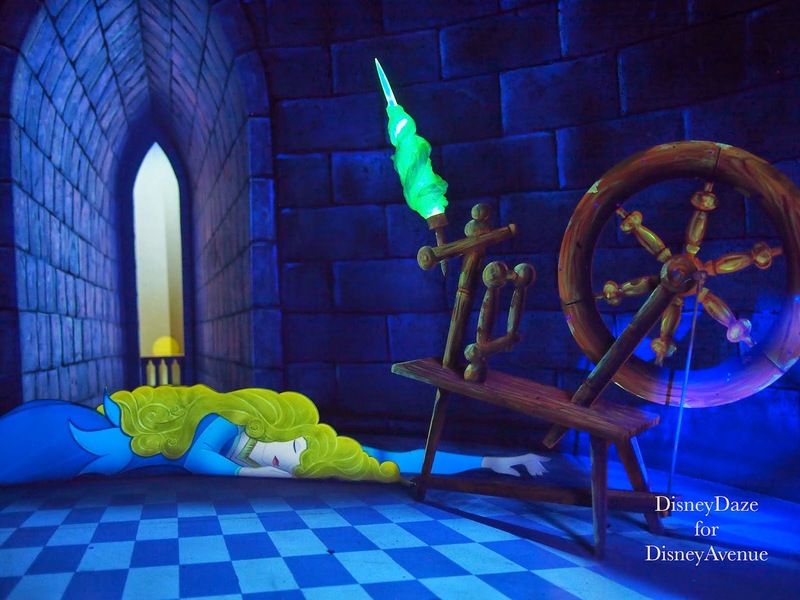 You can view the same Sleeping Beauty scenes that are in the walkthrough with this high def screen. 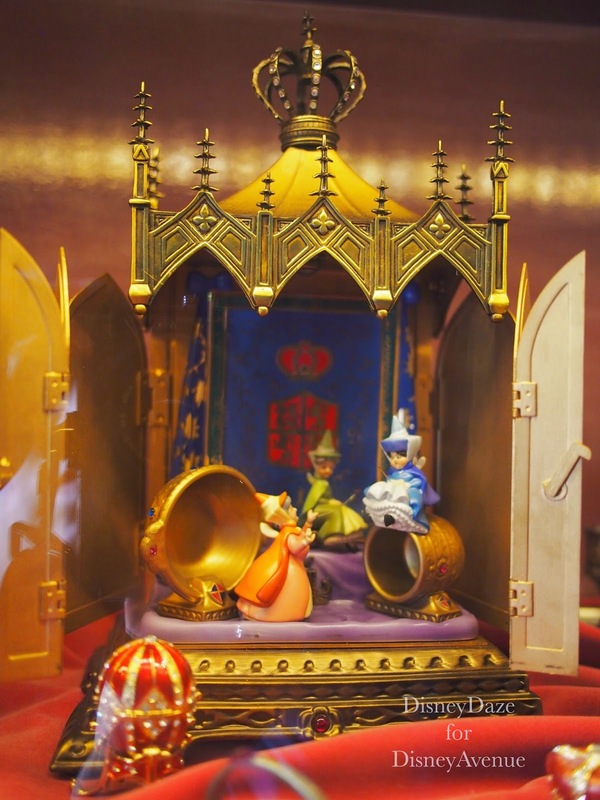 There are some fun items located in these cases. 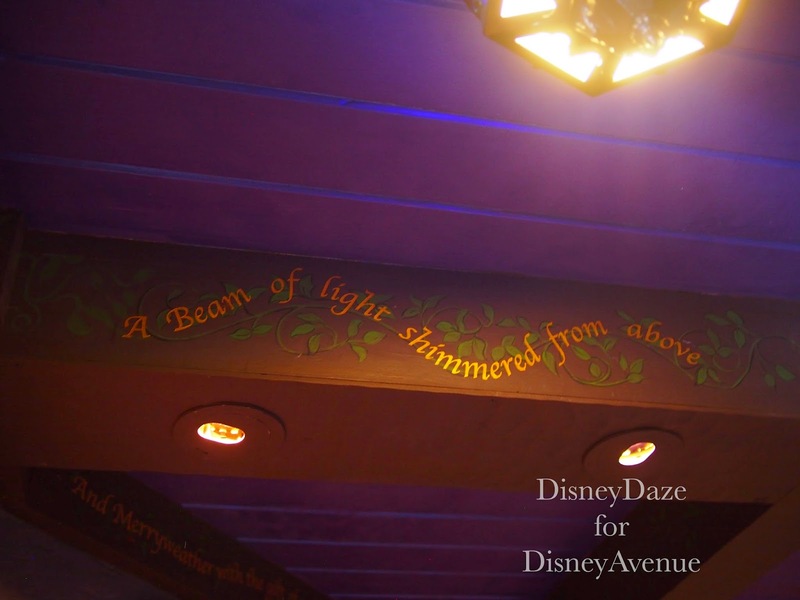 There are so many things in this room that if you don’t look up, you’ll miss some of these details.